Harris is a former Texas A&M signee. 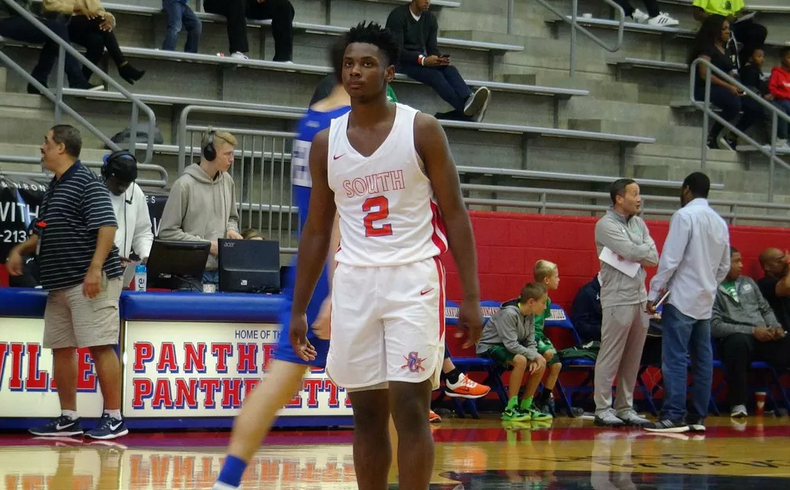 Good news on the recruiting front arrived Wednesday for Mike Boynton and Co. as four-star guard Chris Harris Jr., a former Texas A&M signee who was recently released from his LOI following Billy Kennedy’s ouster, will make an official visit to Oklahoma State this weekend. And better news: He’s coming with four-star OSU signee Marcus Watson. Oklahoma State will host four-star senior Chris Harris Jr for an official visit this weekend, a source told Stockrisers and Prep Hoops. Also, Maryland has recently gotten involved. OSU was in the mix for Harris before he committed and signed with A&M early in the recruiting process, and they again got involved after Kennedy’s firing by re-offering last week. That Harris is coming with Marcus Watson, who has been recruiting him behind the scenes and in front of them via Twitter, makes this all the more newsworthy. He’ll be given the full court press from both the players’ angle and coaches’ angle. Harris is also notably a member of the Baggage Claim Boys, a group that consists of OSU freshman Isaac Likekele. The two have a close connection, and that, coupled with an official visit alongside Watson, suggests he’s given the Cowboys a serious examination in his search for a new school.